I plan to replace it as soon i have done the normal screen format so it will be complete but looking foward on how to edit the other pictures specially the title screen as i am looking around the ISO files of the game. 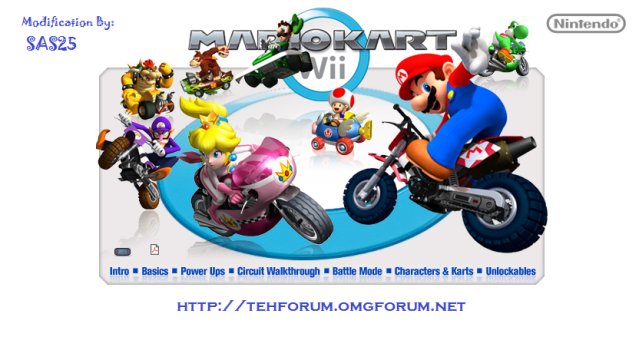 -Enhanced MAC bypass code for those with error code 20102 for those who are MAC banned by Nintendo can play online without applying unban codes. -Hopefully get it 100% hacked fully compatible online for use with USB Loader or Back-up Launcher. you must be a good haxer. A video showing it would be nice but to make a good video is to finish it first and then show it, i would work the credit part last because it is all text and i need to seek more brstm file from other games to test, Super paper Mario brstm file fits into MKWII but whenever i play it, it just play fastfowarded than normal so i won't include it. On the other hand, i would finish editing sometime in 2010 and after that i will not continue anymore even there is new textures. I will try to texture hack the courses that are missing and hopefully do my best.